Join Penny this Sunday and see what HOME really feels like! 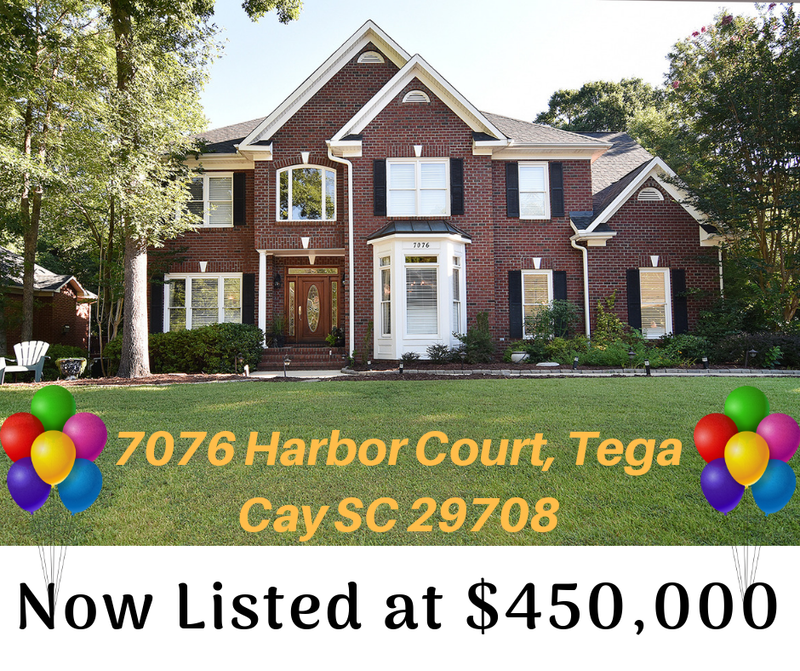 This?Stunning all brick home in sought after Anchorage neighborhood of Tega Cay. Grand two story foyer sets the stage for this fabulous home. Gleaming HW flooring throughout the main level. The formal living room easily serves as a study or music room. Beautiful formal dining rm is perfect for entertaining & special occasions. Kitchen w high-end ss appliances, granite counters, tons of storage & updated lighting. Induction/Combination cooktop & microwave/convection oven. Great rm w gas log fireplace. Master suite w sitting area & large walk-in closet. Relax in the huge master bath, w whirlpool tub, and large shower. Spacious secondary bedrooms – each w plenty of closet space & laundry rm complete upper level. Custom covered porch overlooks paver patio & garden area. Backs to green space. Oversized garage. Finished workshop w electricity & water in crawl space. Gutter guards w large downspouts. Extra insulation for energy efficiency. Fort Mill Schools. Enjoy the Tega Cay vacation lifestyle. Can’t wait until Sunday, no worries call Penny for a private showing at 803-493-7271 or visit www.penny.carmensmiller.com. Click here to see more before?you go!